Many people in the world suffer from self-doubt, lack of drive, feeling deflated and worthless. Now stop, take a moment and ask yourself – what does thinking like this do? What good comes from putting yourself down? It’s a vicious cycle and one we all get into at some point in our lives, but how useful is it really? It’s not. It’s a waste of your time on this earth. We are here for a mere blip in the universe’s lifetime and if you want to make even a small bit of difference, it’s not just about recycling our milk bottles and newspapers, It’s about recycling these damaging thoughts and turning them into a positive thing. Our own time is precious, wasting your minds processes and consuming yourself in degrading yourself isn’t going to help anyone, least of all yourself and it’ll only help those who say you can’t do it. 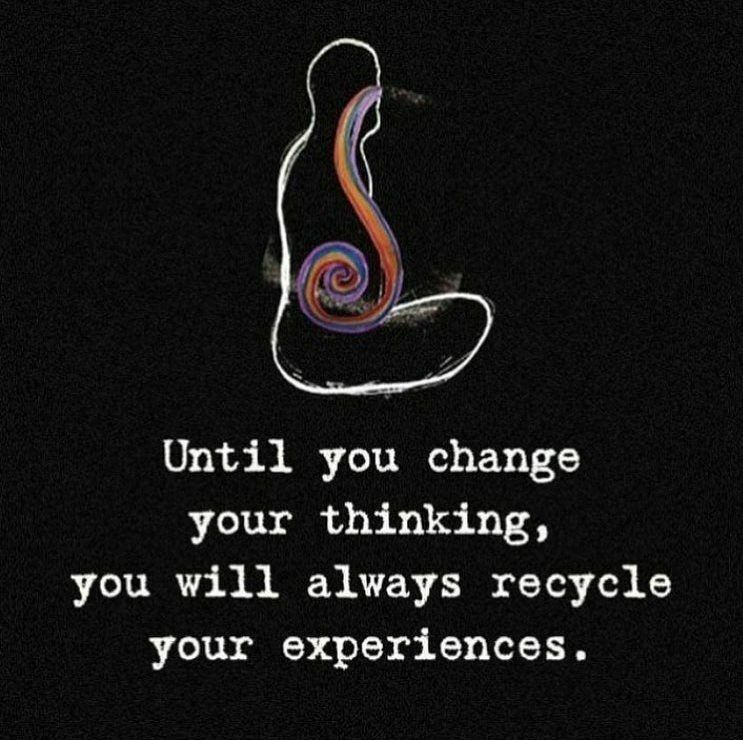 Recycle your thoughts and turn them into something positive. ‘You haven’t got enough experience for us’ – no you may not, but you’re there to learn and show them your worth. ‘You don’t know the field’ – no, you do, because you’ve researched it as many times as you’ve bought bread in your life because it’s your dream job. Yes, it sounds easy enough for me to say, but trust me, I’ve felt invaluable in my time, I’ve ‘failed’ many times, but I wouldn’t have gotten where I am today with putting myself down. I am where I am today because I kept standing back up. Perseverance is a key element to success and you will learn that too. Recycle thoughts of self-doubt into self-affirmations, anytime you feel knocked down, disheartened, hopeless, think about everything that you have that is positive. Anytime you get an incline in the self-doubt hamster ball (humour me), open that door and walk out of it, take a look around and realise that any time someone doesn’t realise your value, you can either prove them wrong or you can wallow. Vow today that you will recycle the bad and turn it into something good.